Comment: I would like to replace the current parquet flooring with something else--either wood or laminate. Area is approximately DR = 84 sq ft; LR = 224 sq ft, for a total of 308 sq ft. Comment: Need to put wood floor in kitchen and fix errors in living room. Comment: We are a student-run business at Middlebury College located at the school's start up incubator. We are lucky enough to have this space for free to store all of our inventory and set up shop, however the building is very old and the carpet has been here forever. The school has given us permission to rip up this nasty carpet and put down new flooring. I'm hoping professional help is within our budget so it can look the best it can be! Comment: Old carpet removed in 2 bedrooms, living room, dining area, and hallway and hauled away. Already purchased carpet installed before July 27th. Installers for where it was purchased said they could not do the job until September which is not acceptable. The unit is now empty, making the work easier. Furniture is arriving on July 28th. Comment: Multi room project will require furniture to be moved around or out of house into storage for job to be done. Middlebury Flooring & Carpet Contractors are rated 4.73 out of 5 based on 31 reviews of 4 pros. 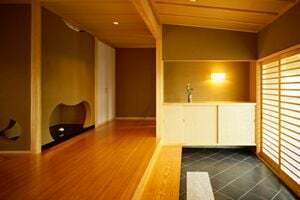 Not Looking for Flooring & Carpet Contractors in Middlebury, VT?